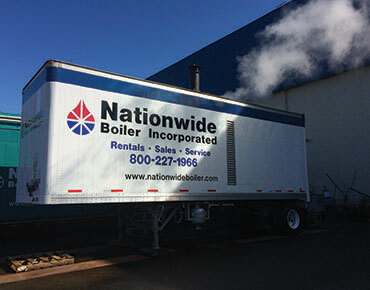 Over thirty years ago the first mobile steam plants were introduced by Nationwide Boiler, featuring firetube boilers in a range of sizes. 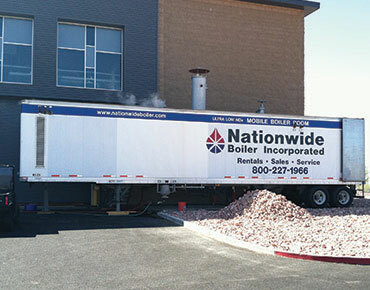 The boiler was housed in a self-contained, highway-legal mobile van that was fully piped and wired and designed for outdoor installation (weather protected). 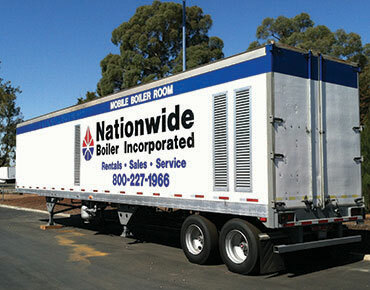 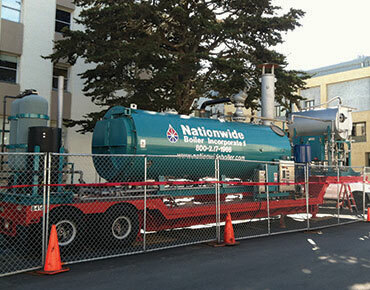 Today, Nationwide Boiler carries both mobile steam plants on an open-trailer and mobile boiler rooms in an enclosed van, ranging in size from 47.5 - 1,000 HP, with operating pressures from 150 - 290 psi. 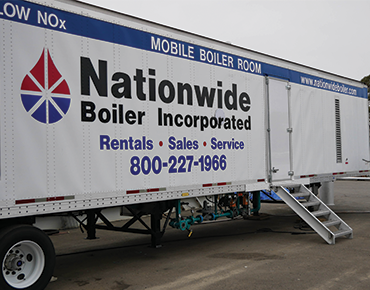 The complete mobile steam plant systems typically feature a duplex water softener, chemical feed and blowdown system, and all valving and controls required for complete steam room operation. 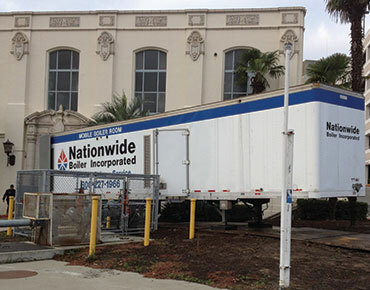 Electrical controls meet FM and NFPA 85 requirements. 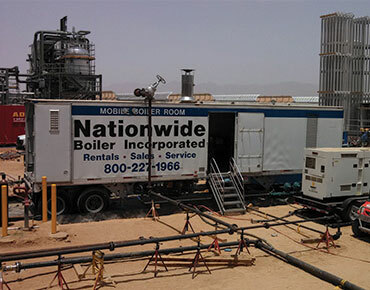 Many of our mobile steam plants are sub 9 ppm ultra low NOx have been pre-permitted for use in the SCAQMD, saving customers time and money relating to the application fees and processing time. 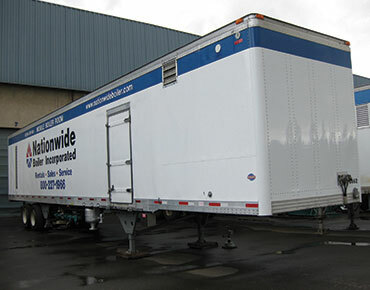 Check out a complete listing of these units on our SCAQMD reference page. 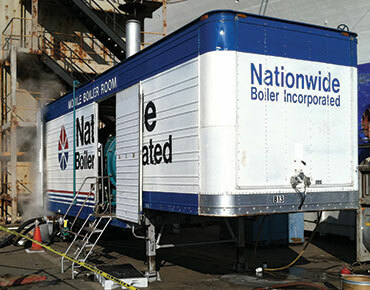 Enclosed work area - The entire steam plant, water treatment equipment and system controls are mounted inside a van-type structure. 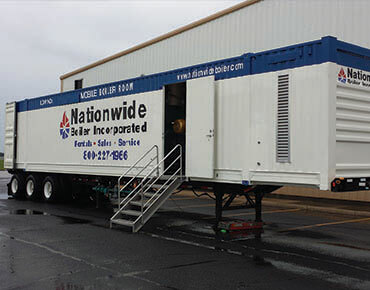 Inclement weather protection - No additional structures are required for protecting the equipment from rain or freezing temperatures. 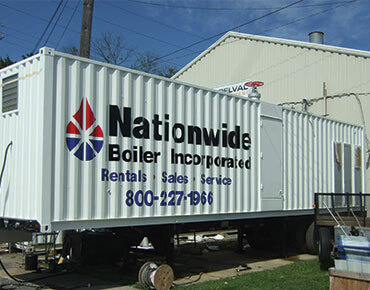 Personnel convenience - These units provide office space for maintaining logbooks, water chemistry testing, etc., and are designed for the comfort of boiler operators. 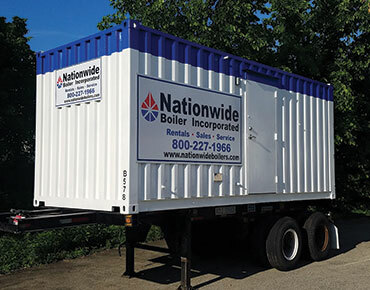 Aesthetically pleasing - Mobile boiler rooms are attractive, which can be an important consideration if the temporary steam plant is going to be located in a place that is visible to the public. 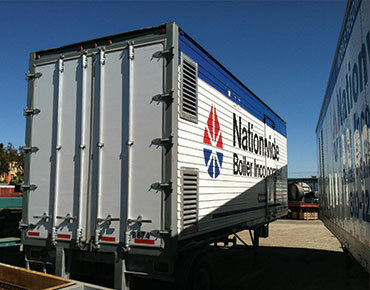 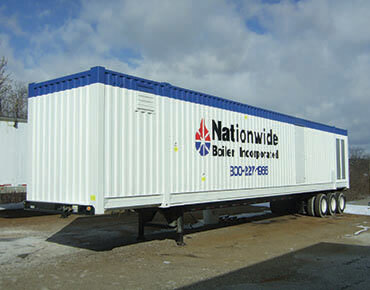 Chicken of the Sea selected Nationwide Boiler Inc. to supply the company’s new Lyons, GA canning plant with a 650 HP (22,500 lbs/hr) Mobile Boiler Room for temporary steam. 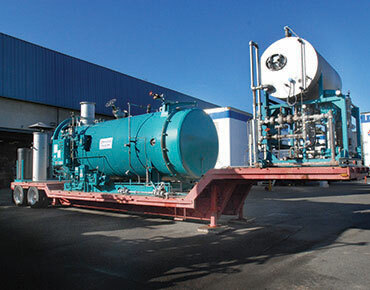 The new 200,000 square-foot facility was planned to help in the creation of 200 jobs around Toombs County and was expected to be fully operational by October 2009. 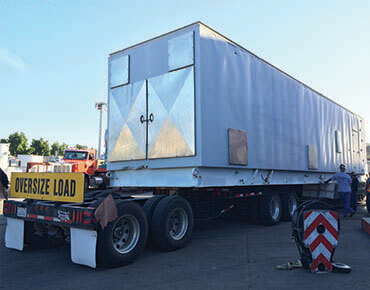 The plant plans to process frozen tuna loins into Chicken of the Sea canned tuna. 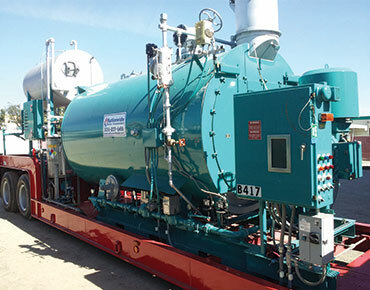 The portable boiler was on site for one-year and easily met the steam requirements of the plant. 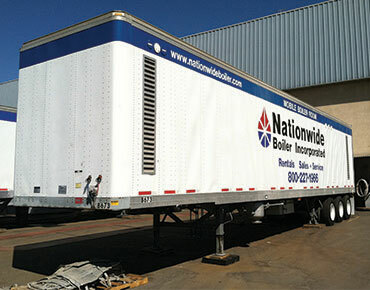 Today, the Chicken of the Sea plan is still operating strong and is proud to bring manufacturing back in the U.S.